The Brazilian real sank about 7% during the current trading session after allegations were made that the country’s President Michel Temer made an attempt to bribe a witness in a graft probe. Brazilian newspaper O Globo reported late Wednesday that Temer made an attempt to pay former House Speaker Eduardo Cunha to secure his silence in the country’s biggest-ever graft investigation. That led to speculations that the President may be forced to step down less than a year after the impeachment of the previous President Dilma Rousseff. Considering that markets were very hopeful about reforms planned by Temer, the news made a huge blow to the attractiveness of country’s assets to investors. While domestic news was the biggest contributor to the real’s slump, overseas events were not helpful to the currency either. Political turmoil in the United States made traders less interested in risky assets, even though risk aversion subsided during the current trading session. All those bad news spilled over onto currencies of other emerging markets, including the Indian rupee, which also logged significant losses during the Thursday’s session. 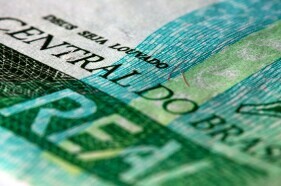 USD/BRL surged 6.39% to 3.3398 as of 18:31 GMT today. USD/INR rallied 1.07% to 64.845.